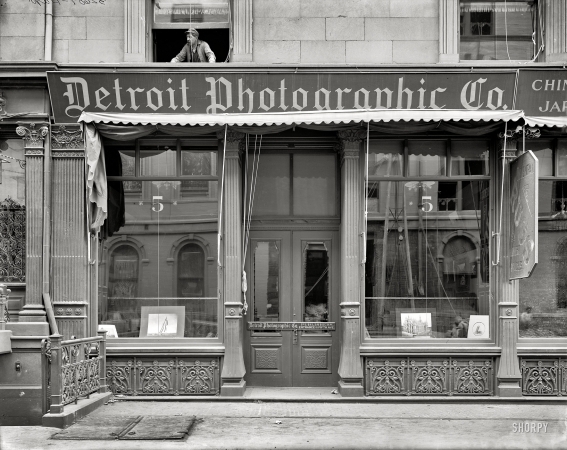 Detroit Photographic, whose business was based on color postcard views and framed prints, had stores across the country around the turn of the century; in 1905 it changed its name to Detroit Publishing. 8x10 glass negative. New York City, "218 Fifth Avenue - 26th Street front."